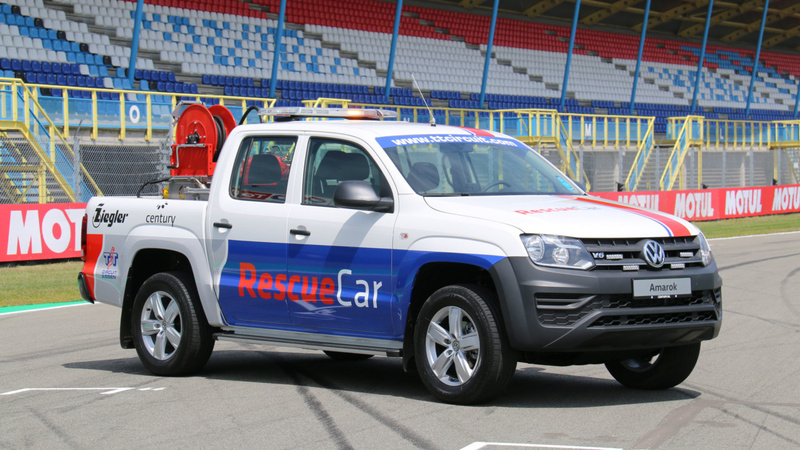 Rescue Car for the TT circuit Assen - Saval B.V. 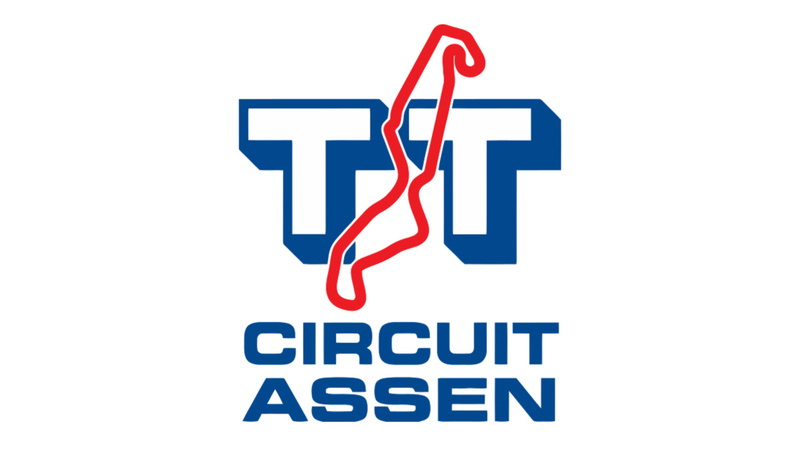 The Cathedral of Speed in Assen, also the TT (Tourist Trophy) circuit has been around for almost 100 years. 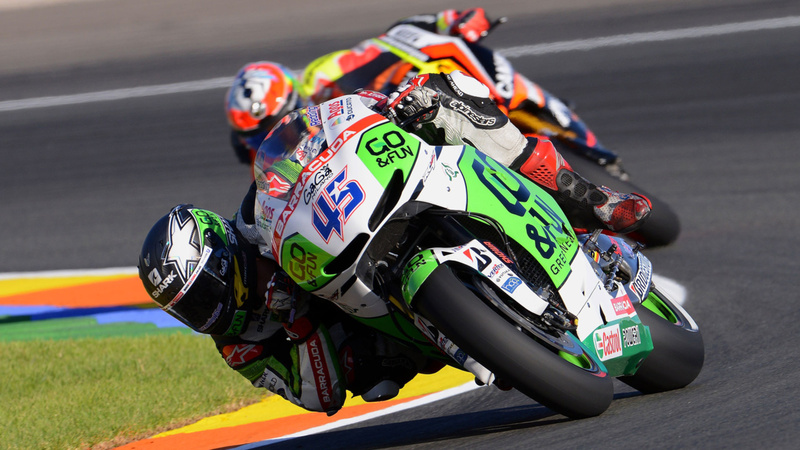 The TT Circuit has a rich history with events such as the MotoGP, the Motocross Grand Prix and British Superbikes. 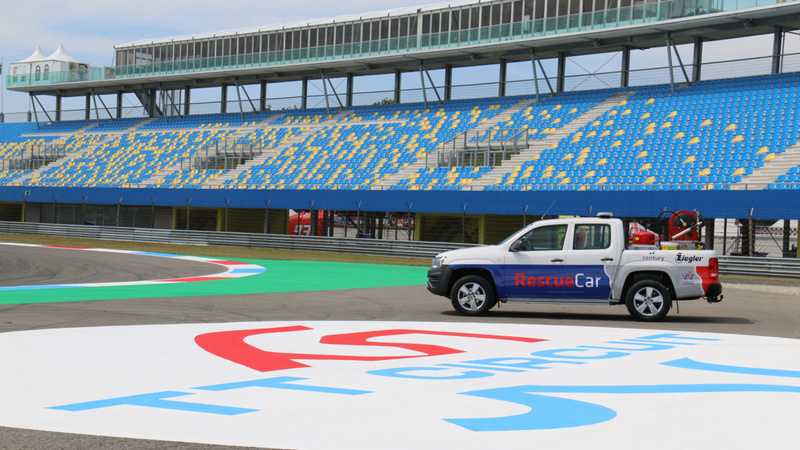 Safety has a high priority here; at events, 400 employees are ready to intervene in the case of incidents. 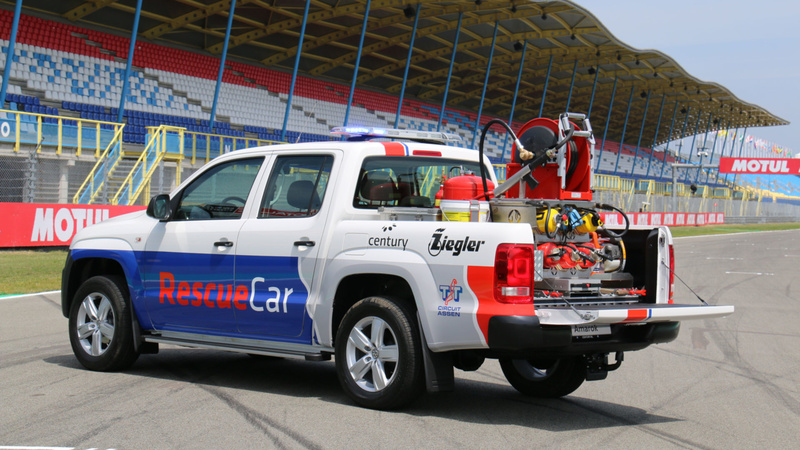 To support this cause, a Rescue Car was produced by Ziegler and Saval to quickly intervene in emergency situations. 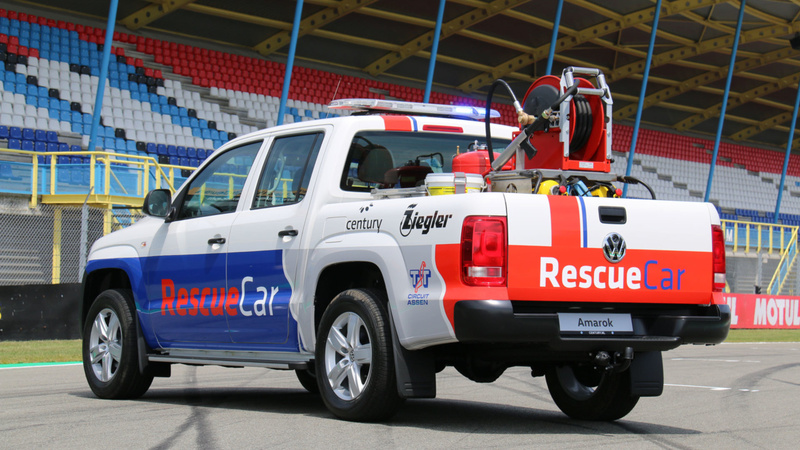 Ziegler Firefighting from Winschoten has a long tradition when it comes to building fire engines for the Dutch and international market. Since 1953 they have built an excellent reputation as a manufacturer of fire engines, but are also as a supplier of firefighting equipment and barracks establishments. 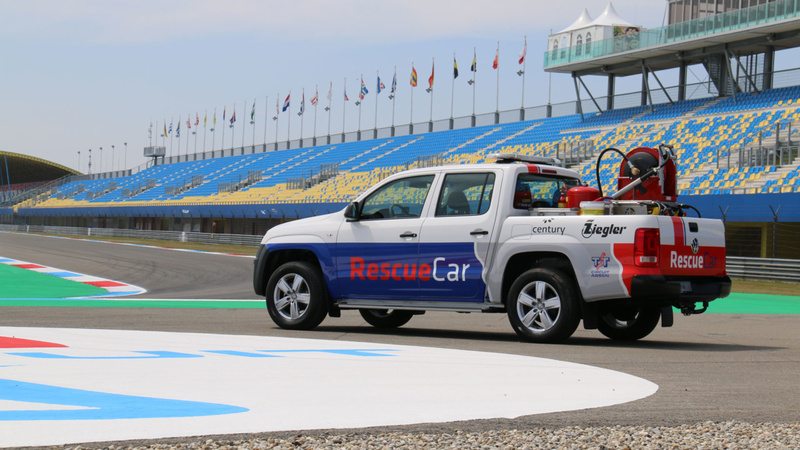 For the application of this new rescue vehicle, Ziegler Brandweertechniek and Saval entered into a partnership to realize this. 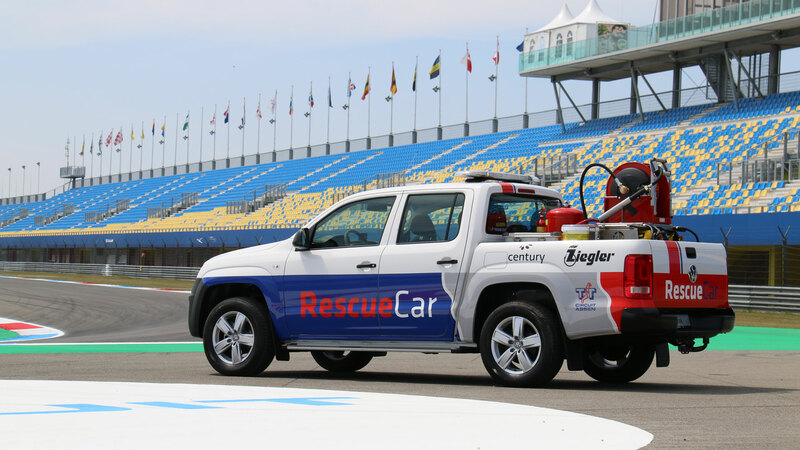 Saval provided the fire extinguishers and the conversion, construction and delivery of the vehicle were in the hands of Ziegler. 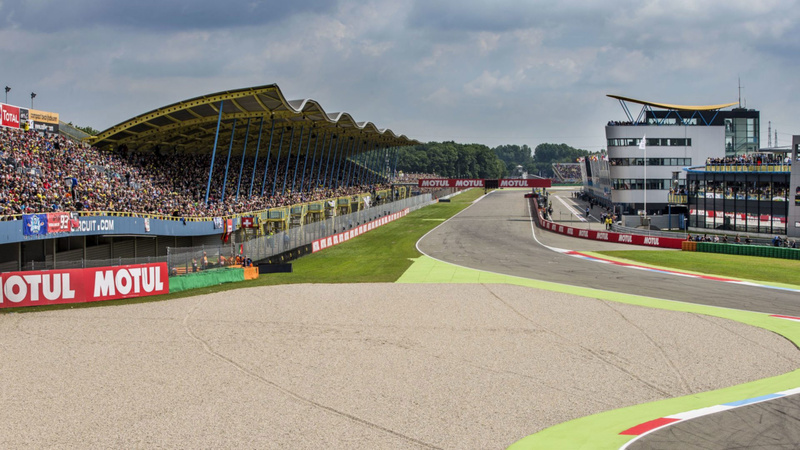 Furthermore, Saval has been maintaining the more than 300 fire extinguishers on the TT Circuit for over 20 years and a dry riser has recently been installed for a new visitor stand. 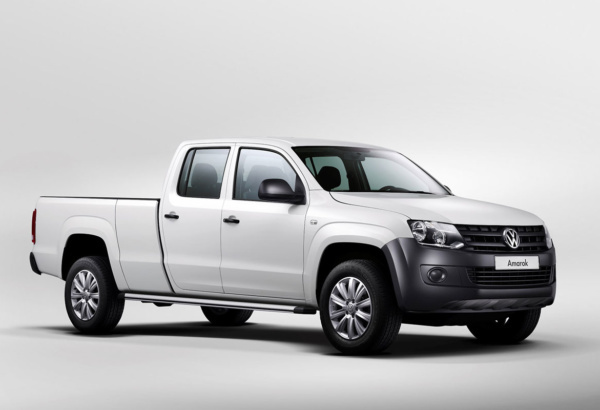 To be able to be on site quickly with adequate extinguishing force and capacity, a balance has to be made between the speed and size of the vehicle. 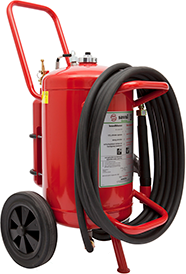 Existing extinguishing agents must be adapted to perform optimally for this specific application. 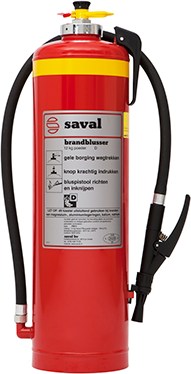 The expected fire risks are fires in solids, liquids and metals. 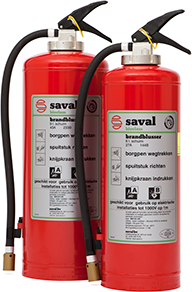 The components used are a modified Saval 45 liter AB Bioclass wheeled foam extinguisher (removed undercarriage and high-output nozzle); 3 Bioclass B6P-sc HR foam extinguishers + 2 PM powder extinguishers for metal fires; Hänsch roof set; Rear view camera; Assembly and installation of packing parts; Spray floor in the container and an attack hose reel. 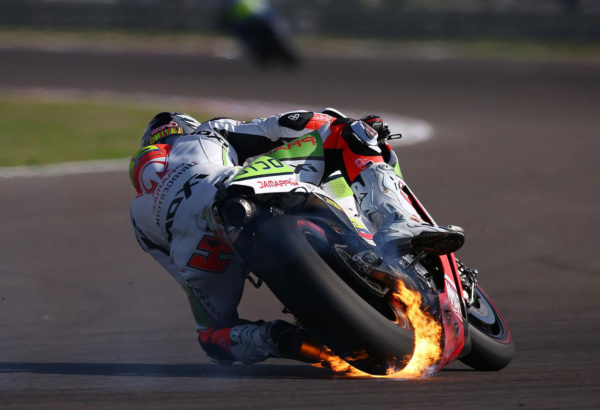 Curious about what we can do about your fire risk? Contact us for a personal session!